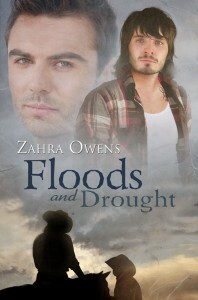 Have you all been waiting patiently for the third Clouds and Rain novel? Well, wait no more. It’s here! Remember Tim Conroy from the first two novels? He’s Blue River Ranch foreman Hugh’s baby brother and the wrangler in charge of the breeding side of the ranch business. He’s also a glass-half-full guy who believes people are essentially good, even when they aren’t. Enter Rory McCown, career petty criminal and ranch hand for all of three weeks until he disappears only to resurface again in a not so nice light. But despite Rory’s behavior, Tim’s a goner. He waits three years for Rory to get out of jail and when he does, he’s right there to pick him up and make sure he’s walking the straight and narrow from now on. But is Tim biting off more than he can chew?